What would you do if you lost your job tomorrow? You’d be shocked, sure – but would it be the end of the world? Look, it’s pretty unlikely that you’ll lose your job tomorrow, unexpectedly. But that doesn’t mean you shouldn’t be prepared for a change in your financial circumstances. Having a personal survival budget all prepared and ready to implement if the worst happens will eliminate major stress at a tough time. In my last post, I mentioned that I am expecting a period of financial stress over the next few months. It happens to everyone. You might lose your job, have your hours cut at work or be facing rent hikes. In my case, my husband and I are resettling in New Zealand with an emaciated savings account and no employment lined up. For that reason this month I am focussing on dealing with tough financial situations and making sure you come out the other side OK.
You’ve heard that saying ‘make hay while the sun shines’. It’s a cliché, sure, but it can be applied to so many financial situations that it’s almost become my mantra. Making hay can mean many things – saving for your house deposit while you are earning a strong income, putting bonuses towards long-term goals rather than short-term wants. Paying more off your mortgage than necessary or just building a healthy savings fund. It can also mean preparing for the time when the ‘sun’ has well and truly set. By this, I mean creating a safety fund and looking at your budget with the highly critical eye of someone who has just lost their job. 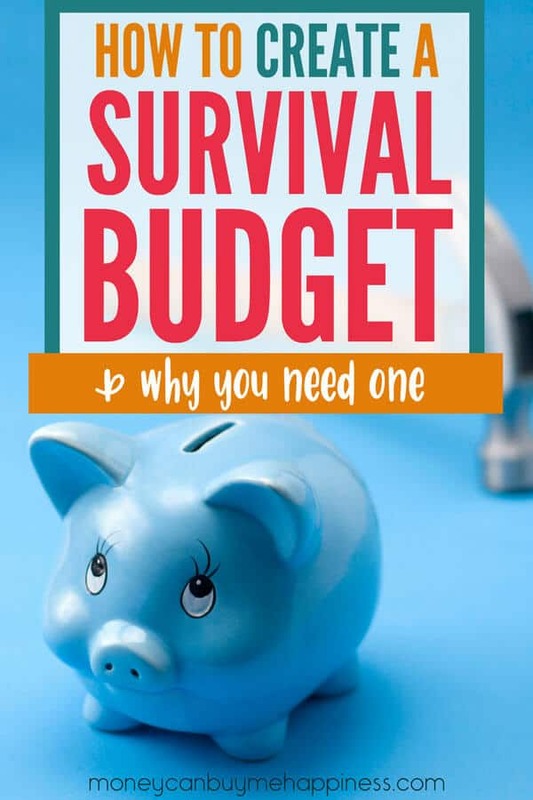 Yep, that’s right – I believe you should write a survival budget even if everything is going great and you have zero money worries. An example of my regular budget (left), compared with my survival budget (right). 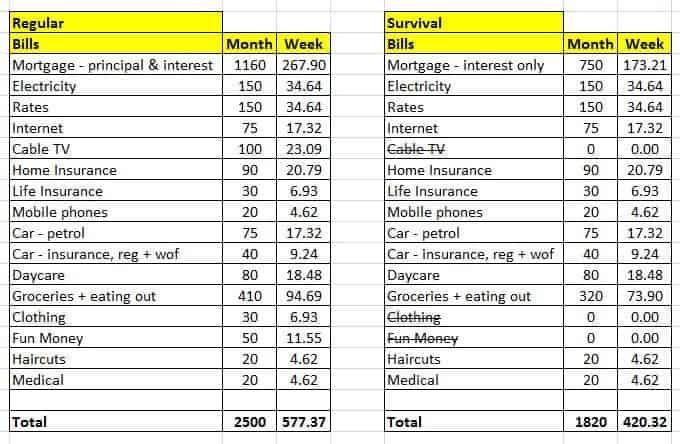 Here is my personal survival budget example (please note these are my personal numbers, I do not expect you to use them for your own budget. This is purely to illustrate the cuts I’ve made). To the left is my regular budget. 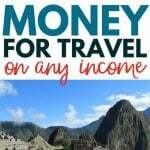 There are very few luxuries because I choose to spend money on travel, not stuff. But there is always room for cuts to be made. For example, as I sit here and write this I am sipping on a cafe con leche (I’m in Spain) that cost €2.70. I bought the coffee because I like working in cafes and being amongst people while I write but I don’t need to buy coffee. I could make my own and carry it in a thermos cup to the library where I could work for free. If I was living on my survival budget there would be no fun money (which I tend to spend on coffee). When pulling together your survival budget you need to be ruthless. Remember this is only short-term. It might hurt a little but there is light at the end of the tunnel. Keep your survival budget visible at all times. Stick a copy on the fridge door (or in your bullet journal). That way you always know where savings can be made and may be motivated to make extra cuts to reduce the pressure when you need it. I couldn’t live without internet, as I run an online business. But I could cut cable TV, fun money and clothing for a few months without feeling too much pain. Our gas spend could be reduced by walking or cycling short journeys. Tip: If you have an essential purchase to make, check the Ebates site to see if you are entitled to cash back for the purchase. You can join Ebates for free. Use this link and you’ll get a $10 voucher towards your first $25 purchase. You could slash your food budget by eating less meat and cooking at home for all meals. A great way to save on your grocery bill is to use Ibotta. You can unlock rebates and discounts on regular grocery store purchases with Ibotta, so it’s a great way to save money. Click here to learn more about Ibotta (only available in North America). Cash envelope budgeting is the best way to manage your money in tough times. Having certain cash allocations for each category will help you stay on budget. Save the credit card for real emergencies, and see how you go with using cash. You can use envelopes, plastic baggies or cash envelope wallets fit for purpose. Your mortgage provider may allow you to switch to an interest-only payment for the short-term. We have always made extra payments towards our already affordable mortgage and so switching to interest-only payments for a short period wouldn’t send us too far backwards in paying the mortgage down. Be aware though, catching up on your interest payments after you come off an interest-only repayment period means your repayments will likely go up. Insurance is a necessary evil, but you can reduce insurance premiums by calling other providers or reducing the level of cover you require or increasing your deductible (excess). If things were really bad, could you rent out your house and move to a cheaper and smaller unit or in with family? (not a strategy I’d recommend but a possibility for some). You can also take part in market research from your home. Three research companies I recommend are MySurvey, The Panel Station and Vindale Research. Each company has different requirements, so make sure you check them all out to find the best fit for you. Some pay you in reward points, and others by entering you into a high-stakes draw. If you’re interested in starting a side hustle, check out these other ways of making money online. With $1820 per month essential expenses and income of $398 per month child tax credits, we have to fund a shortfall of $1422 per month. The balance of our savings account will be just over $10,000 so $10,000/$1422 = 7.034 months. We have just over 7 months to find employment. I’m 100% confident we can pull it off and revert to our frugal yet comfortable existence within a couple of months of landing back home. But having a survival budget in place, just in case life doesn’t go as planned, helps me to sleep a little better at night. I recently cut my cable bill and it has helped my spending/budget astronomically! Yep that’s the first thing we are cutting, Alexis. Netflix has served us perfectly well whilst travelling so we definitely don’t need it. where do u find daycare for $80 / month? my son is 16 years old but when he was in daycare – over ten years ago – daycare was $75 / WEEK and that was cheap for the time. my homeowners insurance is $202/month and we live in a doublewide mobile home. my car insurance is $520 for two vehicles with my 16 yr old driving now but even before he got his license my insurance was $172/month for an 11 yr old tahoe. Hi Lisa, thanks for your comment. I don’t intend for you to use my numbers, there are far too many variables for that to work. The biggest one being that I’m in New Zealand where we have hugely subsidised daycare for most families. 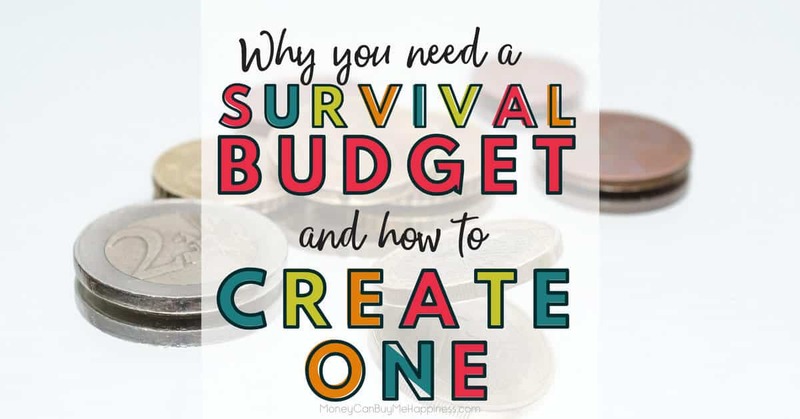 The point of this post is to illustrate the benefit of having a survival budget in place so you can action it as soon as you need to. I shared my figures to show what my survival budget looks like. Thanks for stopping by. This is great! Love the comparisons.